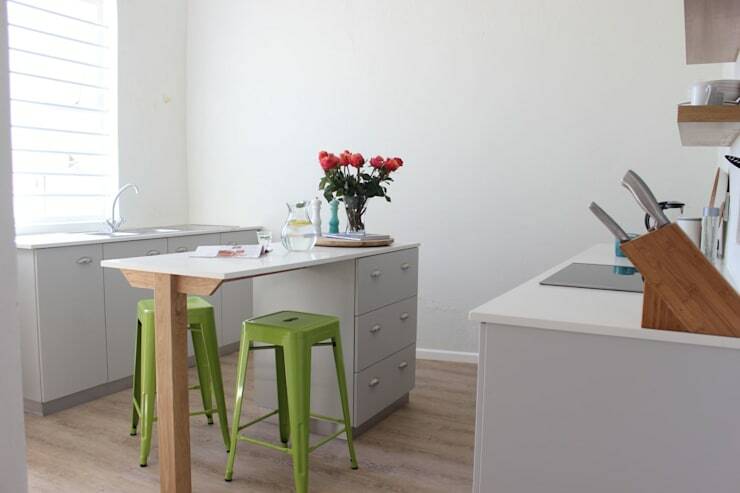 Our latest homify 360° comes to us from the design team at Covet Design, based in good ol’ Cape Town. This particular project of theirs involved the complete renovation of an old Victorian row house in desperate need of some modern style. However, when we say “modern”, don’t imagine a space with blindingly sleek surfaces, razor-sharp edges and an overall stunning-but-unfriendly vibe – this design project focused more on putting the charm back into this home to ensure a comfy yet still beautiful lifestyle for its inhabitants. See how generous neutral tones can be in terms of making a room seem bigger? That sandy-hued flooring, the white walls, the pale grey of the cabinets – they all make the extra spots of lime green and hot pink become that much more prominent. And in terms of functionality, this kitchen can also teach us a thing or two, especially with that island/dining table, as well as the floating shelves above the stove on the right. To ensure visual detail, the bedrooms of this home each flaunt a handful of colours and patterns, like this gem with its chevron-motif scatter cushions in a sunny yellow. 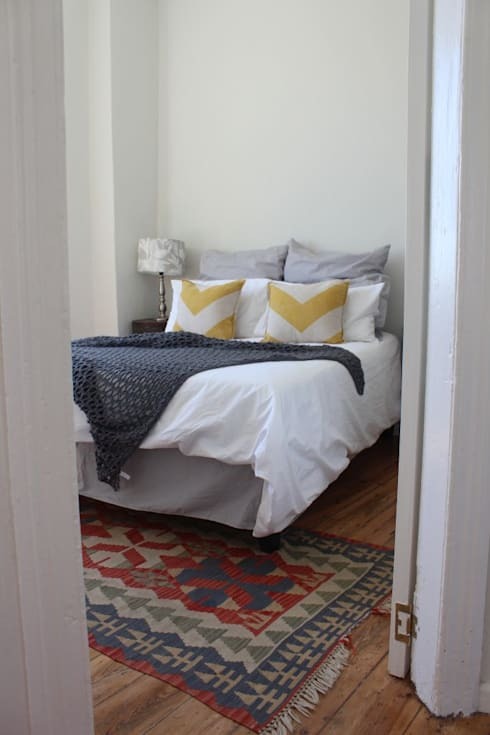 Don’t overlook the way in which that floor rug, throw and additional pillows add to the room’s plush look. 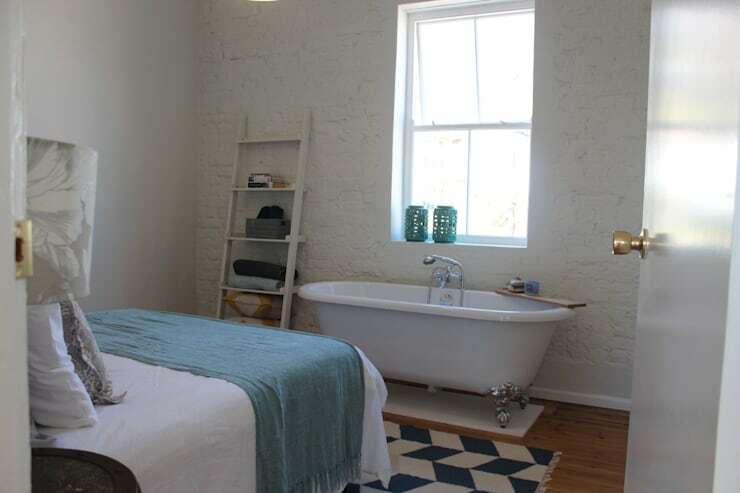 Well, this is certainly one way to save space – combining the bedroom with the bathing area. We are actually quite fond of the idea, as it not only adds more functionality to the room, but also increases its privacy/intimacy factor. Besides, what’s the fun of having a bedroom that doesn’t stand out in a most unique way? Now that’s how you style up a shower! 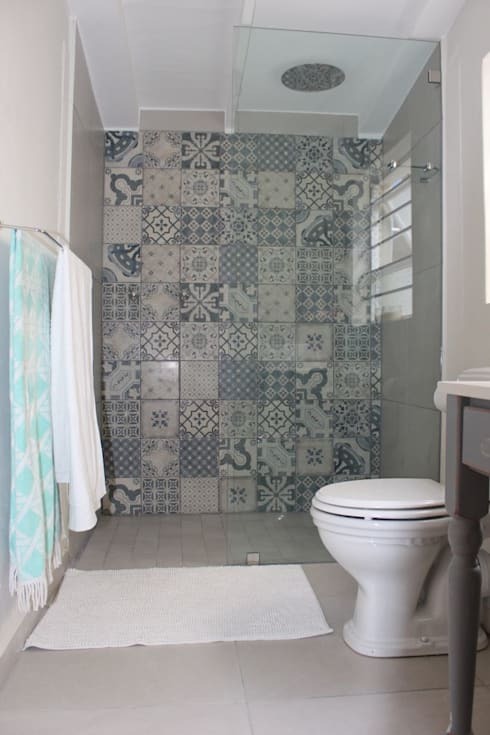 We are all for neutral colours and subtle styles, but this patterned shower wall definitely just jumped high onto our list of “must-try things”! So much detail, so much character! For more inspiration regarding bathrooms, we present: 11 of the most beautiful South African bathrooms. What ideas will you be copying back home?